Nation of Islam leader Louis Farrakhan was reported to have led chants of “Death to America” and “Death to Israel” while in Iran this weekend on a solidarity visit as U.S. sanctions were renewed against the regime. Farrakhan’s remarks were just the latest outrage from the radical leader, who called Jews “termites” last month. 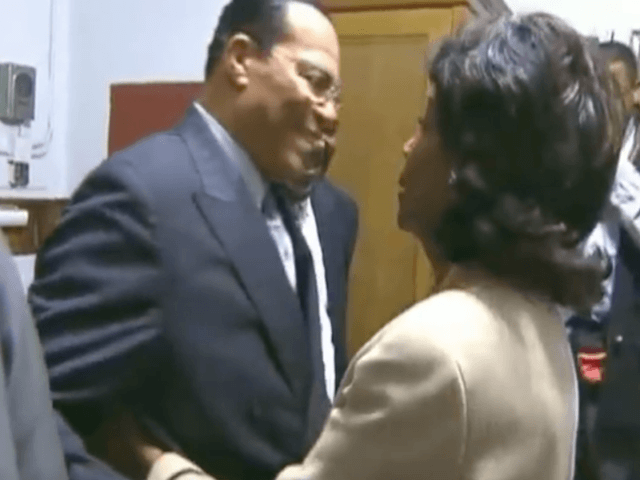 The Democratic Party has a long history of associating with Farrakhan, and important Farrakhan defenders will be promoted to key leadership positions in the U.S. House of Representatives if Democrats win the midterm elections. The most notorious example is then-Sen. Barack Obama (D-IL), who met with Farrakhan in 2005 and posed for a smiling photograph with him. 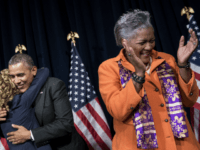 That image was suppressed to avoid damaging Obama’s presidential ambitions. Obama also participated in Farrakhan’s Million Man March in 1995, and defended it despite its leadership. Rep. Keith Ellison (D-MN), the deputy chair of the Democratic National Committee (DNC) and the first Muslim elected to Congress, worked with the Nation of Islam, and defended Farrakhan from claims of antisemitism. He has met with Farrakhan several times since being elected, and continued to meet with Farrakhan as recently as 2016. The Congressional Black Caucus, which is almost entirely Democrat, hosted Farrakhan when he met with Obama in 2005. The Daily Caller identified seven members, all Democrats, who have met frequently with Farrakhan. One of those is Rep. Maxine Waters (D-CA), who stands to become chair of the House Financial Services Committee if Democrats win the House. She embraced Farrakhan warmly and tightly in 2005, as he smiled at her. Under pressure from the Republican Jewish Coalition, Rep. Davis and other members of the caucus criticized Farrakhan over reported antisemitic remarks in March, but the party and its leaders continued to associate with him. 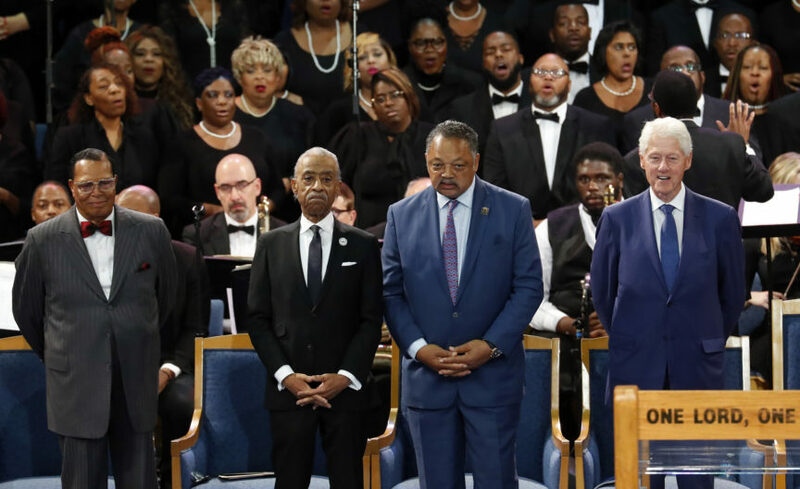 Former president Bill Clinton, shared a stage with Farrakhan at the memorial service for singer Aretha Franklin in August. Also on the sage were former Democratic presidential candidates Jesse Jackson and Al Sharpton. The Women’s March, a “progressive” anti-Trump organization that is closely aligned with the Democratic Party, has close ties to Farrakhan. At least three of the Women’s March leaders — Linda Sarsour, Tamika Mallory, and Carmen Perez — have praised Farrakhan. Mallory has attended many of his speeches and has called Farrakhan the “greatest of all time.” On one occasion, Farrakhan specifically gave Mallory a shoutout from the podium. Yet Democrats have worked proudly with the Women’s March to protest the Trump administration and turn out the vote Tuesday.